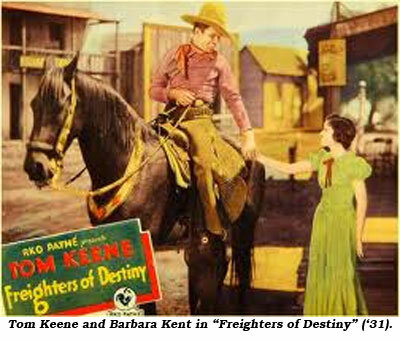 As a result of the marriage, Barbara’s last western was “Freighters of Destiny” (‘31) with Tom Keene. “I recall very little about Tom Keene.” This is understandable, as she did little in the picture with or without Keene. 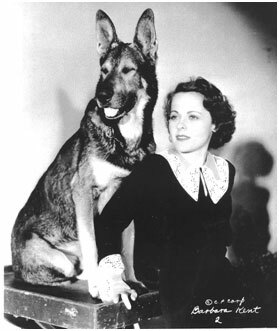 Sadly, Barbara died in Palm Desert at 103 on October 13, 2011. 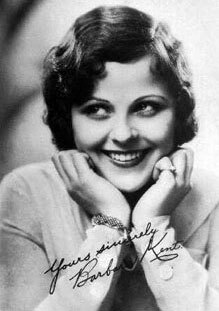 Movies:Prowlers of the Night (‘26 Universal)—Fred Humes; No Man’s Law (‘27 Pathe)—James Finlayson; His Destiny (‘28 British Canadian Ltd./Paramount)—Neal Hart; Freighters of Destiny (‘31 RKO)—Tom Keene.